You there! Yes…the curious reader sitting in front of that screen. You look like someone who would be interested in a variety of tasty Pale Ales, Saisons, Porters, and an occasional dry-hopped Gose. Now that your attention is focused, let me point you in the direction of the City of Pittsburgh for their Craft Beer Week that will be taking place from Friday, April 21, 2017 through Sunday, April 30, 2017. Consider yourself spoiled by the variety of events that the collective of brewers will be putting on throughout the city. Festivities begin at East End Brewing Taproom on Friday, April 21, with the tapping of a dry-hopped Gose that features a collaboration with East End, 11th Hour, and Reclamation Brewing. Follow-up events at other bars and breweries feature tours, tastings, chances to meet the talented brewers behind the different beers on tap, and the opportunity to get some yoga in at one of the tap rooms. If you were looking to drop some coin while in the Steel City, the PCBW Moos and Brews Pairing Class, on Tuesday April 25th at Grist House Brewery will be worth the price of admission at just $25. Whether you are a craft beer novice or a seasoned veteran, you will only benefit from having an expert show you how to pair different beers and cheeses for your next party…or if we are being honest… for the next time you decide you want to buy a variety six pack and a fancy cheese plate to sustain you through your next Netflix binge-fest. While some of the events do have a price for admission, there are plenty of things to do for the frugal traveler looking to just enjoy some damn good beer. The best example is the First Annual Disc Golf Tournament held be East End on Wednesday, April 26. For a few hours participants will get to compete for some East End swag and then finish off the night with a nightcap back at the brewery. 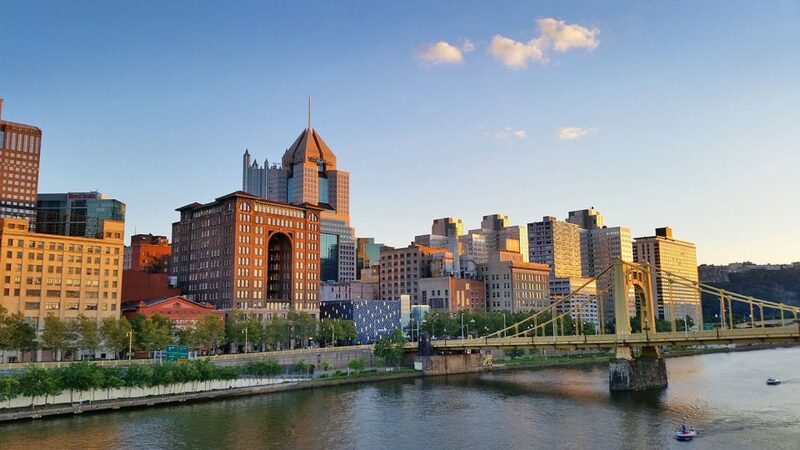 If any of this peeks your interest, be sure to make your way over to the official website for the Pittsburgh Craft Beer Week to check out the entire calendar of events being held at the breweries around the city this April. Josh is the Associate Editor and is a native from the state of Illinois, which of course, by default, means he is an avid Cubs fan. Outside of baseball season, Josh can be found enjoying a local brew or a new food joint in the Loop.